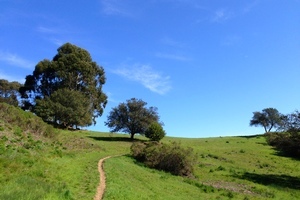 Trailstompers is the most comprehensive online guide for trail running and hiking in the San Francisco Bay Area. We provide trail maps, GPX downloads, driving directions, recommended Favorite Runs, interesting history and more, so that you can get out and start exploring the Bay Area. Choose your region below to find your next trail adventure. From Palo Alto north to San Francisco, the San Francisco Peninsula offers some of the most beautiful and varied trails in the Bay Area. 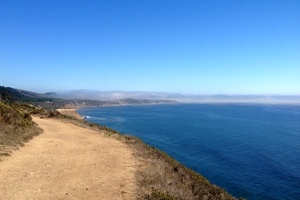 From redwood forest to open grassland, shaded gulches to ridge top vistas, the Peninsula has it all. From Cupertino south to Santa Cruz and Morgan Hill, the South Bay boasts an amazing assortment of parks and open spaces. 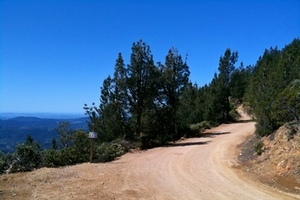 Hundreds of miles of trails, perfect for a weekend adventure and just minutes away from Silicon Valley. From the funky beach town of Santa Cruz south to the famous Big Sur Coast, this area boasts some of the most rugged and remote trails in the Bay Area. Stunning ocean views and a thrilling sense of adventure make this a must-see area. From Milpitas north to Fairfield, the East Bay offers an extensive regional park system with over 1,200 miles of trails. The area offers challenging trails with panoramic Bay Area views, only minutes from the bustling urban centers. From Sausalito north to Tomales Bay, the North Bay is the home to Marin County, Mount Tamalpais, mountain biking, the spectacular Point Reyes National Seashore, and some of the most famous trails in California including the Dipsea. Stretching from Napa north to Calistoga, the Wine Country is not just for tasting your favorite vintage. 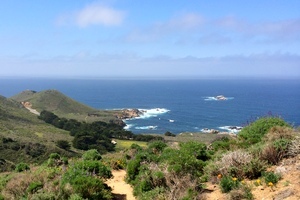 In addition to wine, the area boasts several remote parks, challenging trails, and spectacular views from one of the tallest mountains in the Bay Area. Check out the Trailstompers store to browse and purchase Trailstompers recommended trail running products including: books, maps, hydration gear, shoes, and more! Shop with confidence as all orders are fulfilled through Amazon.com! Shop now!